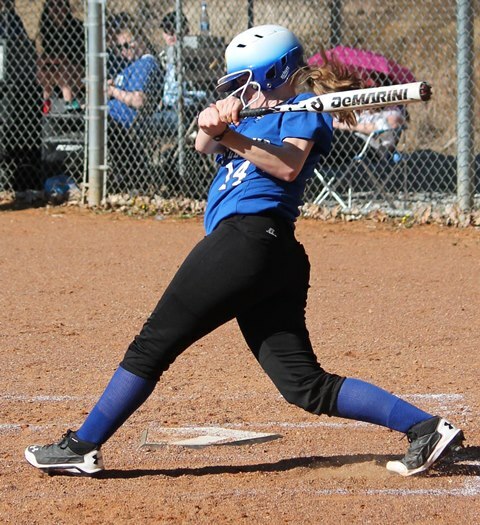 The Alice Lloyd softball team was back on home ground on Friday, April 11th, and Saturday, April 12th, versus the Lady Celtics of Carlow University. Here is a look at the four-game series. It would be Kayla Stambaugh pitching the series opener for Alice Lloyd. Two runs in the first would see Carlow take a 2-0 cushion. ALC cut the margin in half, putting one run up on the board in the fourth, however, Carlow added three insurance runs in the seventh. Alice Lloyd was not able to overcome the four run-deficit. Megan Jones knocked home the only run for ALC. Whitley Albury was given the ball to pitch in game two for ALC. It was another great performance by Albury, but unfortunately, the Lady Eagles’ bats could not get started. The difference came in the third when Carlow would produce a two-spot on the board to give them a lead they would not yield. ALC only generated three base hits. Stambaugh returned to the mound for game three, the first of two games on Saturday. Carlow scored in the first and second innings to take a 2-0 advantage. The Lady Celtics would extend their cushion to 4-0 in the fifth inning, putting up two more runs. ALC scored two in the sixth to make it interesting. Unfortunately, though, the Lady Eagles’ rally came up just short as the hosts scored one run in the seventh inning that wasn’t quite enough. Allison DePriest, Stambaugh and Megan Boswell all churned out RBIs for Alice Lloyd.